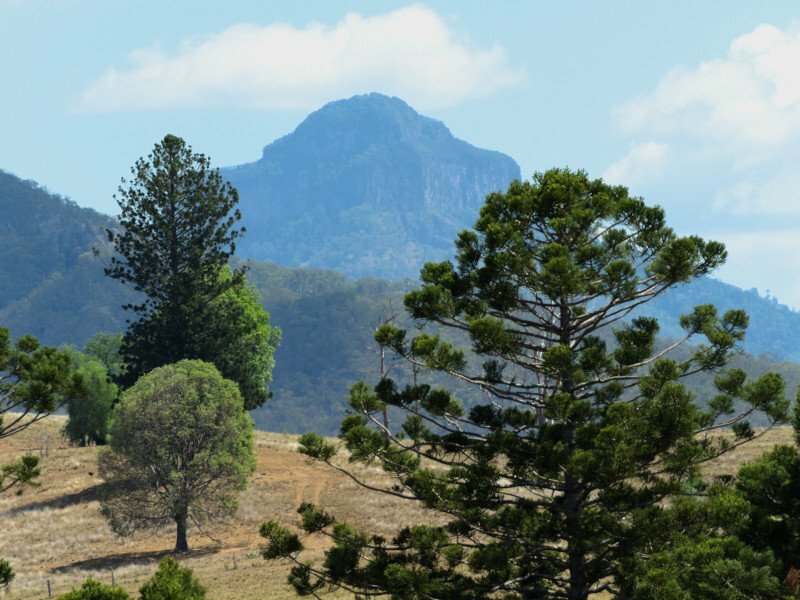 Mt Lindsay is an ancient eroded extinct volcano that lords over the Queensland/NSW Border. One thing I love seeing at this time of year is the beautiful wintertime photos taken from the northern hemisphere (check out https://travelfeed.io/photography/@shaka/a-winter-hike for example). 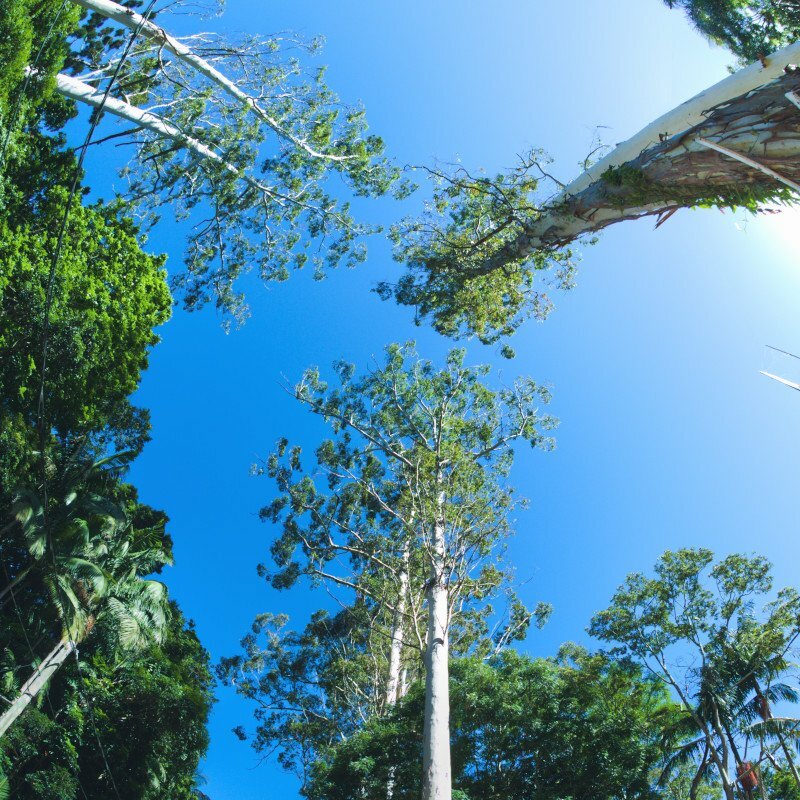 However, to balance things out here are some photo's from near Brisbane, Australia, from last weekend at the height of summer! Here is a map of the main photo locations. 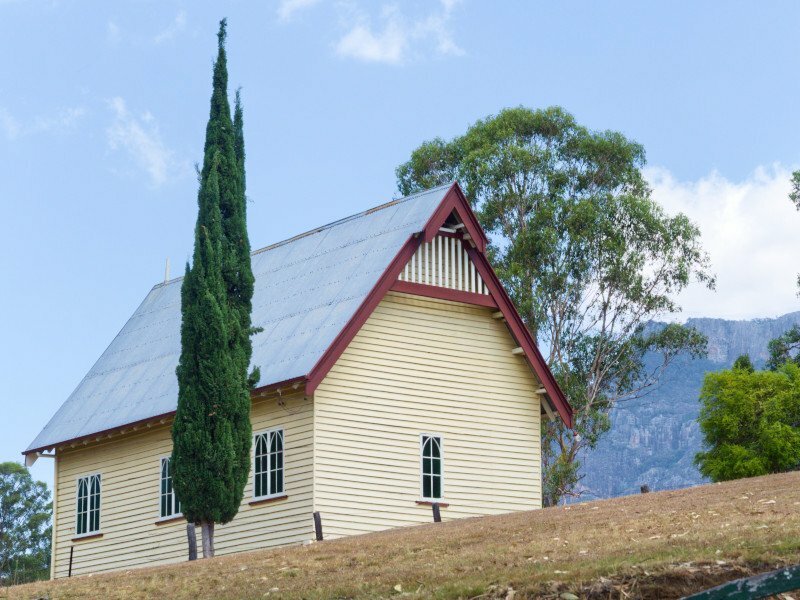 The first stop is Lake Maroon, nestled in the ranges that run along the border between Queensland and New South Wales. 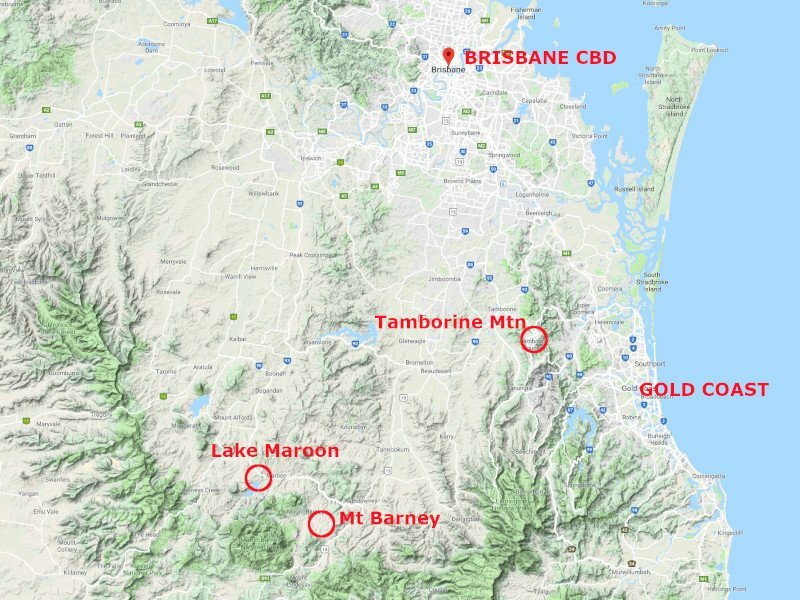 It takes about an hour and half to drive there from Brisbane City, or a distance of 120km. On this particular day it was very warm (36 C), so there were a few people out enjoying the cool water of the lake as can be seen. Here is the view driving towards the lake, which is somewhat hidden by the trees. Down on the lake itself. 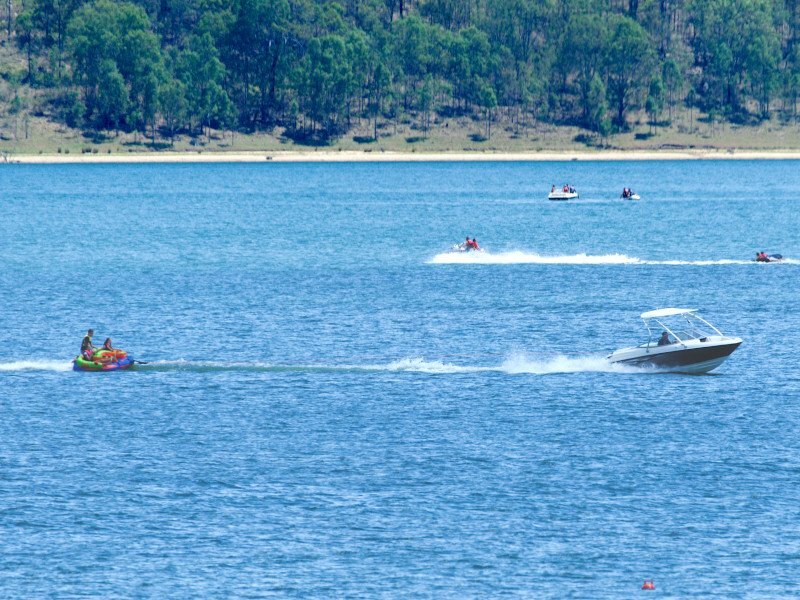 Pulling out the 300mm zoom lens to get this shot of a family having fun on the lake! On the way to the next destination, I stopped to admire this quaint little church on the side of the road. 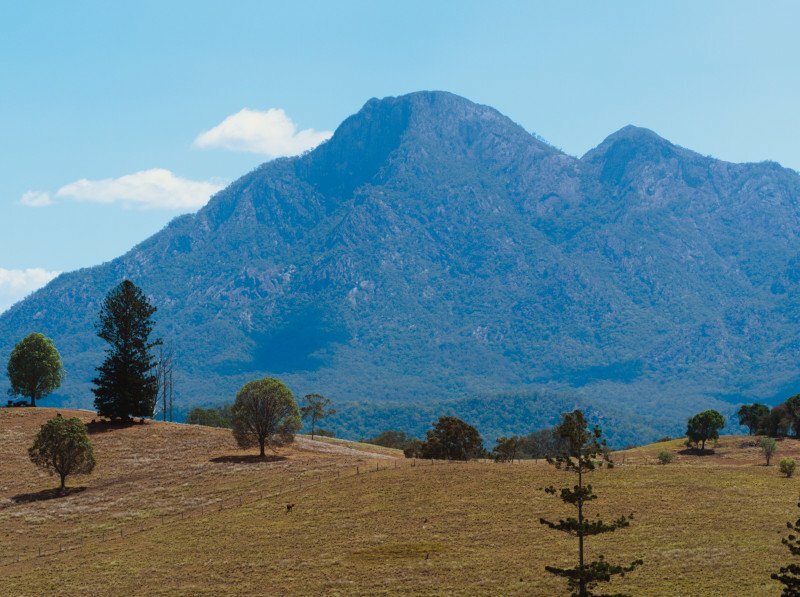 Only a short drive from Lake Maroon is a scenic area around Mt Barney, one of the highest points in South East Queensland. Although only 1362m in height, it still looks quite imposing at least by Australian standards. Although the mountain is well forested, the surrounding area is showing the effects of an unusually dry and warm summer. At this time of year the grass would normally be very green. Going for a wider view. I was glad to get back into the car and air conditioning after this shot as it was quite hot outside. When Dorothea Mackellar wrote "I Love a Sunburn't Country" I imagined this is the type of scene she had in mind. 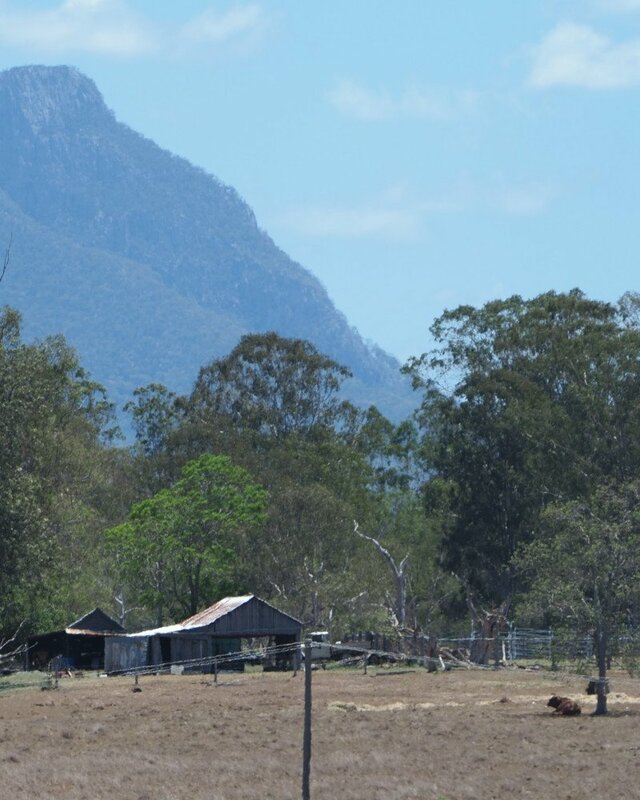 Heading away from Mt Barney to the next destination, I came across a few interesting scenes. No rest for a farmer as he ploughs the land on what was a public holiday. I think he spotted me! It's a 95km trip from Mt Maroon, including the stop by of Mt Barney view, to the next destination - Mt Tamborine. 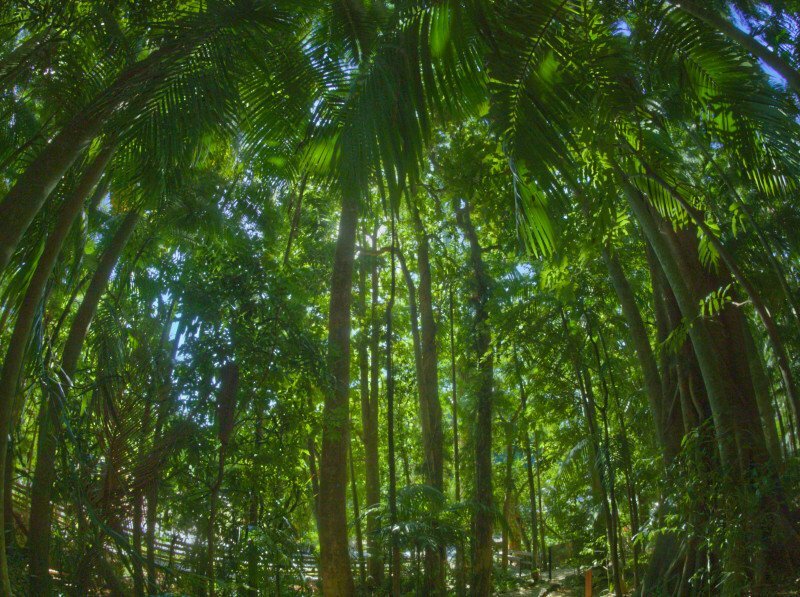 But the contrast is quite amazing as you are transported into a cool rainforest. The elevation and proximity to the coast completely take the edge off the summer heat. I definitely had feelings of how I would love to retire here, but the weather would play havoc with my astronomy interest. For these shots, I used a fisheye lens. The first shot processed to show the beauty of filtered sunlight through the forest canopy. This photo here is looking along a creeper. 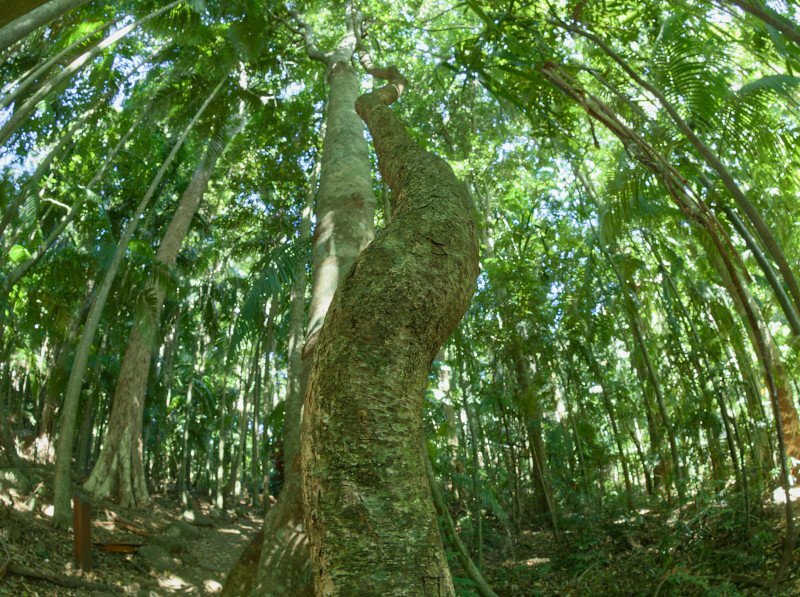 I love the effect of the fisheye lens in the forest. I thought this turned out to be an interesting shot looking straight up. As much as dislike the impingement of construction into these forested areas, I thought this made a good photographic subject. 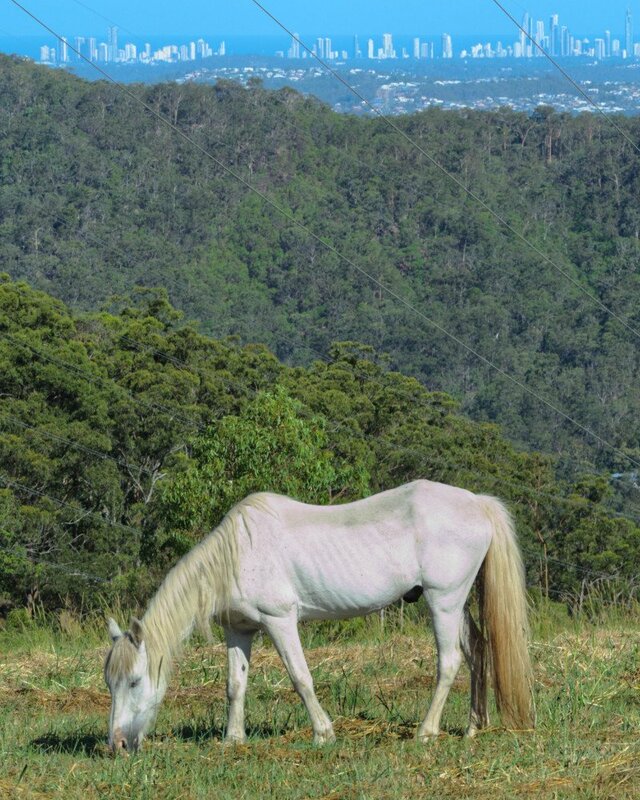 On the other side of the road where the above photo was taken, a friendly horse was grazing. In the background is the Gold Coast and Surfer's Paradise. The right hand most skyscraper (Q1) was the worlds tallest residential building up until 2011. Hope you enjoyed the photo's from this little day trip I made last weekend. I look forward to doing some more travel once the weather gets a little cooler.